Transmitted to dogs when they are bitten by infected deer ticks. Lyme disease produces immediate symptoms in only about five to 10 percent of affected dogs. Deer ticks must be infected with a spirochete bacteria belonging to the Borrelia burgdorferi group to cause illness in dogs. A few cases of Lyme disease has been reported in other states but mostly because the dog acquired the infection elsewhere and moved to another state. Deer ticks are the only tick species that transmit Lyme disease to pets and humans. Deer ticks must remain attached to dogs for at least 48 hours before the bacteria infiltrates the bloodstream. If you notice a tick on your dog and remove the tick within 48 hours of the tick attaching itself to the dog, this may prevent bacteria from entering the bloodstream. Similar in appearance to dog ticks, deer ticks are brown in color when not engorged. After feeding, their body color changes to rust or brownish-red. Before feeding, deer ticks are just half the size of dog ticks. Sudden limping or lameness is another sign of Lyme disease. Sometimes, lameness shifts from one leg to the other, and back again. However, not all dogs experience this symptom. The difference between arthritis lameness and Lyme disease lameness is the rapidity of the onset of lameness. Canine arthritis develops much more slowly than lameness due to Lyme disease. Also be aware that the tell-tale, circular rash seen in humans infected with Lyme disease is not seen in dogs. Their skin and fur remain unaffected until lack of appetite and malnutrition begins to cause hair loss and skin irritations. Left untreated, Lyme disease in dogs can cause heart problems, neurological disorders and progressive kidney disease leading to renal failure. Dogs may survive advanced Lyme disease with treatment but often suffer permanent damage to their health. Testing for Lyme involves two blood tests called the C6 test and the Quant C6 test, A preliminary blood test used to detect protein antibodies in the animal’s blood, the C6 test determines whether a Lyme infection exists. 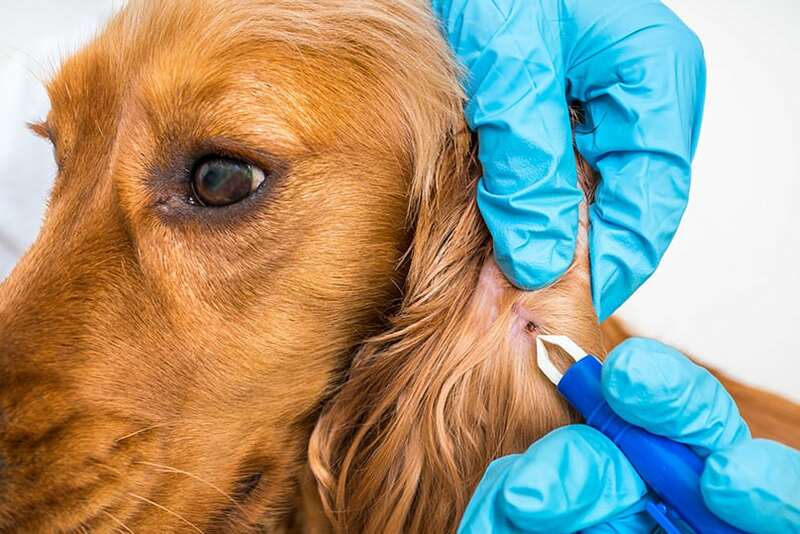 Antibodies are detectable from three to five weeks after an animal is bitten. In addition, C6 tests are offered as one part of a testing package that can detect other tick-borne infections. When C6 tests are positive, the Quant C6 test is then ordered to find out if antibody levels are elevated enough to justify starting treatment for an active Lyme disease infection. Blood tests for Lyme disease determine red and white blood cell counts. A low red cell count and high white cell count may indicate the presence of the Borrelia burgdorferi bacteria. A veterinarian will also perform a thorough check of your dog’s skin to determine if any ticks are still attached and alive. If Lyme disease is suspected, your dog will be placed on a regimen of antibiotics to eradicate Lyme disease bacteria. Dogs treated promptly for Lyme disease have a very good chance of recovering completely. However, the longer treatment is delayed, the longer it will take dogs to recover. 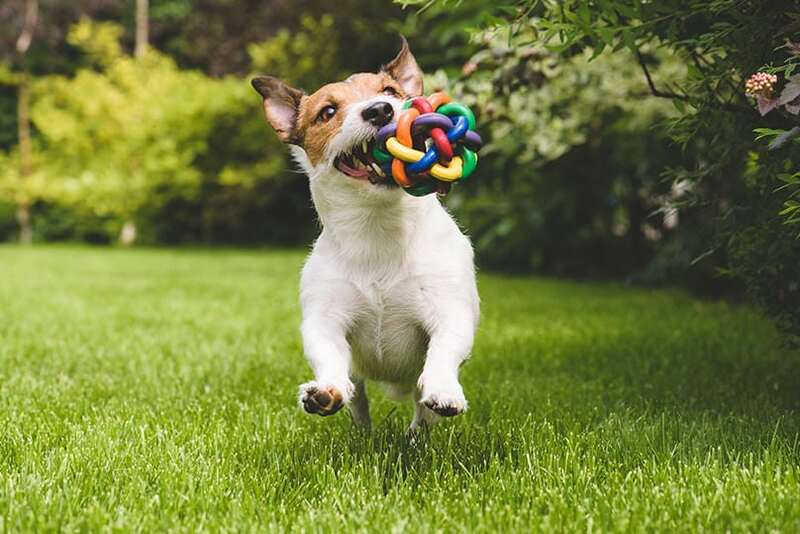 A Lyme disease vaccine is available and is strongly recommended for dogs living in states with high incidences of Lyme disease. Flea and tick collars are available that coat your dog’s skin with safe chemicals formulated to repel fleas and ticks. In addition, you should brush your dog’s coat every other day during spring and summer and inspect his skin for ticks during a brushing. Avoid touching ticks with your bare hands by wearing gloves during a tick removal procedure. Over a dozen tick-to-human diseases are known to exist, such as Rocky Mountain Spotted fever and Anaplasmosis that could infect you while you are removing a tick. After removing a tick from your dog’s skin, it is common for a welt to appear where the tick was attached. Relieve irritation with hydrocortisone spray and monitor the site for about a week. Sometimes, tick saliva may permanently damage canine hair follicles and inhibit the growth of blood vessels, leaving that area of the skin hairless. If this occurs after you have removed a tick from your dog and this reaction concerns you, contact your vet for more information.